Recently the headquarters team dropped off a bin of toiletries and socks to Andre house, a ministry to the homeless population of the Phoenix area. 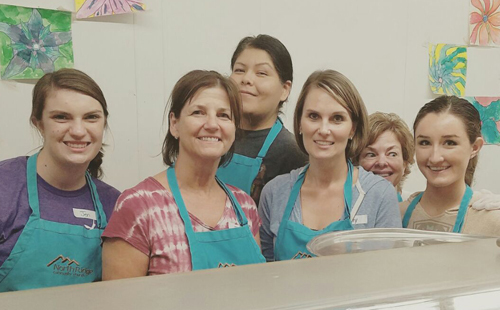 The team also work together with other volunteers to prepare and serve their gracious guest a hot meal. We appreciate all your donations and assisting in Meetings Needs in the local community.